Today, if someone wanted to find information about your business, they will simply ask for your business web address or will search about your business over search engines, and if you don't have any web presence for your business then you are missing millions of active online consumers. But if you have an online presence with an old designed website to just show that you have a website can be harmful to your business because in reality, having a bad website is often worse than not having one at all. A website is not just a name for any business, but it is the identity of your business which reflects how deep are the roots of any business and the well designed website reflects that how one arranges its business in the digital world. The more, a business reflect in an organized manner, the more it is likely that people will attract towards the their business. Many web design services are prevalent in the market and they are offering many features in their packages, but the only question that arises is that of the authenticity of any service provider. Many people have understood the perks of a quality web designing and have started working towards the same by consulting experts. Therefore, either they outsource the web designing part to a web design company or they design with appealing graphics and color combination themselves. Different textures, themes and user-friendly navigation control all together work towards enhancing the user experience in an effective manner. The web design is definitely important and powerful than content from an aesthetic point of view and if you have a good visual appeal then you have already won half of the battle when it comes to grab the attention. From SEO and traffic, to branding and conversion rates, the web design affects your entire Internet presence. Now, users like websites or blogs that are more informative, relevant, fresh, attractive, clear and unbiased. It has been identified that an attractive website catches the eyes of many visitors and makes them visit the website again. Thus, it is recommended that the website designed must be attractive to gain more visibility. For this you should always hire an expert designer for the designing part so that you can get better design on the website. It is the best measure to target the audience so that it can bring profits to the business in a desired manner. Such portals can also help in catching the response of the customers through reviews on products, therefore, it is important that each section of a website is designed with precision. If your business website is designed well, users will navigate to other pages of your website and hence the chances of business conversions gradually increase. 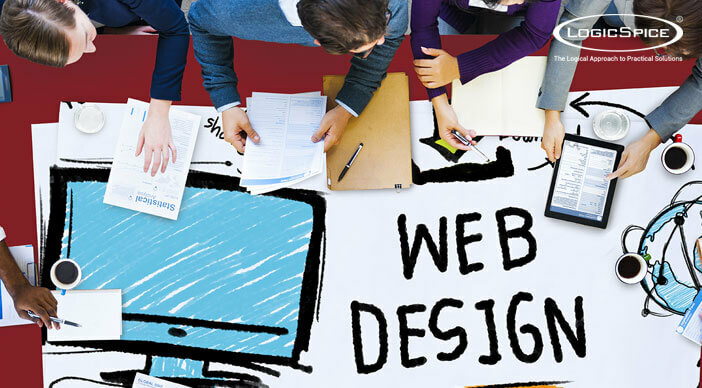 Investing in web designing is good because it will return you thousands of visitors and will help to boost your business. Apart from the designing, the website content is also incredibly important. The website content should be more informative to hold the users on the web page. People likes websites that are more informative, having fresh content and provide the relevant information. Without a good web design, the visitors may not spend more time to read the content, but if it's having rich and meaningful content that you've invested in, will hold them to read and engage them for a while. So it's always important to have a good and original content, over website pages and blogs. In conclusion, the website design is an essential part of your conversion through the website and has full impact over users. It plays an important role in representing your business globally.